Everyone is familiar with the fable about the Tortoise and the Hare. The moral of the story was slow and steady wins the race. It ended up working out for Max Holloway. We all had our hands up in the air wondering when he would get his shot after taking out every contender imaginable. Now, the undefeated Brian Ortega is finally one single step closer to the featherweight title after an insane 13-fight win streak. However, Frankie Edgar is one giant step he’ll have to get over at UFC 222. Not only that, it’s on short notice. Ortega isn’t worried though, for him, it’s just like any other fight. “I’ve absolutely seen [Edgar’s] crazy battles. 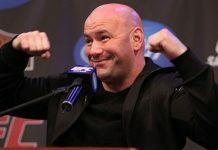 When you’re a fighter, you look at the UFC to see the people who do it at the highest level and, when I was a youngster, he was one of those guys,. Those big cards, fighting for the belt. I don’t want to say I idolized him, but I was a fan and now I’m getting maybe a last chance to fight him. I saved the posts I was tagged in [on Twitter by fans when Max Holloway had to pull out], took a screen shot of it and sent it to my manager with a question mark. My manager finds out everything for me, gives me the scoops. So within a couple hours, I get a text, ‘Call me ASAP!’ I knew. They were calling me for the fight. I said, ‘I already know. I put two and two together.’ There’s no celebration yet. We haven’t won. The celebration is after. Then, we’re all going to eat Jack in the Box.” — Brian Ortega speaking to The LA Times. If anyone left on Earth still doubted if Brian Ortega was the real deal or not, those stragglers caught up with the rest of us after his second round submission over Cub Swanson at UFC Fresno. Managing to beat Frankie Edgar in the co-main event of UFC 222 would give him the title shot at Max Holloway instead of Edgar. As we’ve seen in the past though, Edgar has successfully stood in the way of every single contender since 2008, only losing to champions. Can Ortega really be different? His shot and a happy post-fight Jack in the Box trip depends on it. This article first appeared on BJPenn.com on 2/9/2018.